Bell-Bottom Blues is a dark blue with glowing blue shimmer, and a slight tinge of purple. Formula was near-perfect consistency, and it dries satin. This was almost a One-Coat Wonder! This is 2 coats plus top coat. You know, if I knew that every essie polish I picked up would have this great of formula, then I’d be buying a helluva lot more! 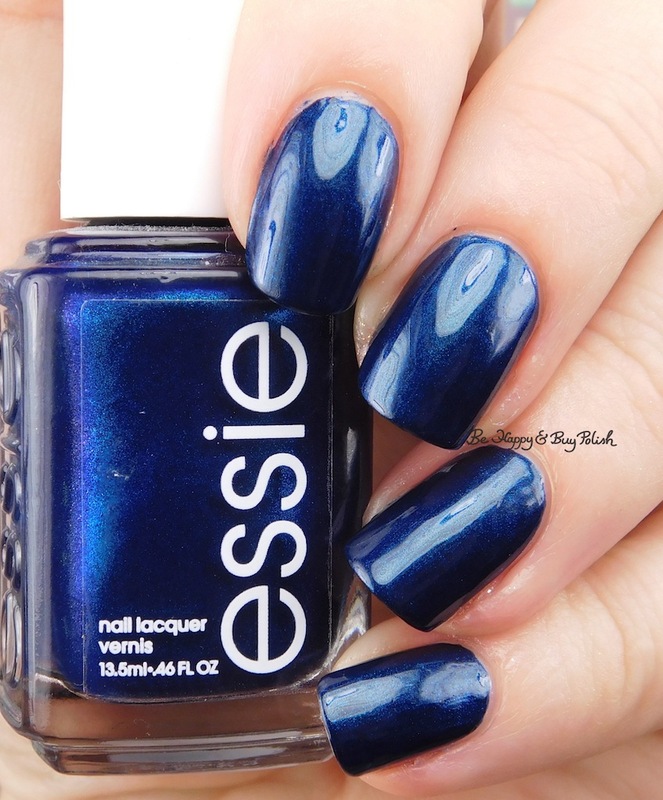 I love Essie! I found this at our version of TJMaxx too. That whole Fall collection was so nice. Nice swatches of this color. I don’t have any Essies but this is a pretty one!